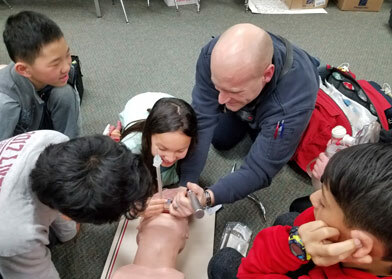 Kinawa students had the opportunity to learn First Aid and CPR skills this year as part of a special exploratory class. 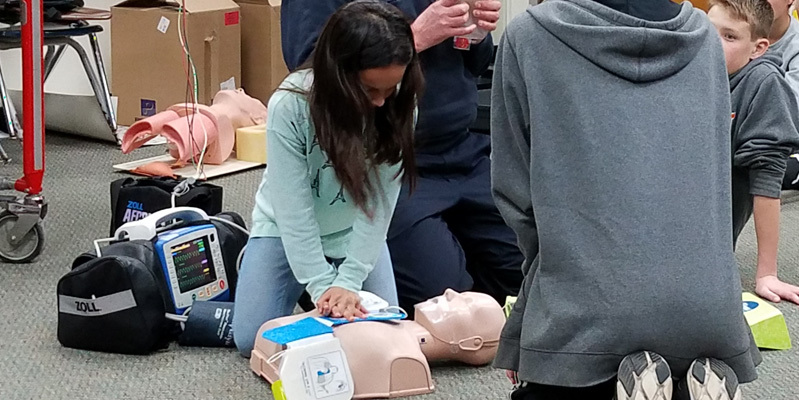 Teacher Sheree Jungwirth is a licensed CPR instructor who created the class to allow 5th and 6th graders the opportunity to learn valuable lifesaving skills, including CPR and the use of an AED (Automated External Defibrillator) device. 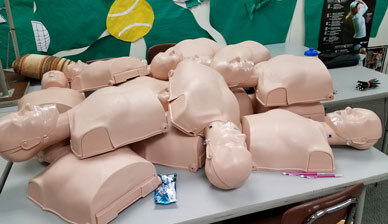 Students completed the American Red Cross Adult/Child/Infant CPR/First Aid/AED course during the class and had their new skills tested through both practical and written exams. 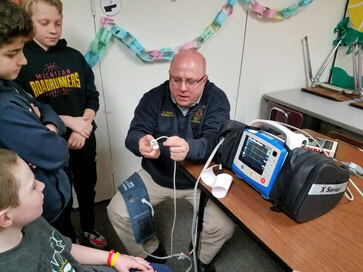 Paramedics also talked to the students about the information that a paramedic would need to know from them during an emergency situation and warned them about some aspects they might not have considered. “You may hear bones breaking or smell burning hair. That happens sometimes; just keep going until we get there to take over." 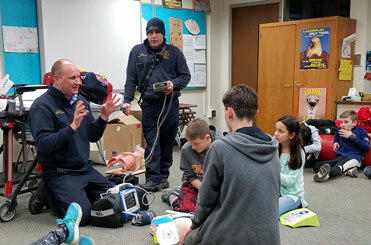 The OEF partnered with the Kinawa Parent Group to fund the purchase of the manikins and AED machines needed to offer this valuable class to Kinawa students. Ms. Jungwirth hopes to expand the program next year to reach more students and is looking for funding to purchase additional equipment. Would you like to help make this possible? Please donate today. Help the OEF support more innovative projects like this by making a contribution today.